I looked at the big clock hanging at the center of Waterloo Station to make sure we were on time. I got in the ticket queue behind a lady, 30-ish, brunette hair put up in a bun just right. She was wearing an oatmeal colored cashmere coat that looked so luxurious that I couldn’t help but admire her style, then I was called up to the window. The slender older gentleman behind the window looked over to her direction as well and gave me a mischievous smile as he processed my request for three return tickets. Brenda, Bailey, and I were about to experience what was to be the best tour of Hampton Court Palace. On time, we arrived at our destination. It was cold and a bit overcast, but Vivienne, our docent, a blue badge guide from Context Travel made sure to meet us on the platform with a warm smile. She introduced us to the rest of the party, two wonderful ladies from New York City . One of them living in the same complex where I had experienced my childhood. A neighbor was joining us, It was a good start. Realizing that one of her guests was an 11-year-old girl, Vivienne’s eyes widened. We can tell from her reaction that she was going to take it upon herself to make the tour an extra-special educational day for Bailey. Entering the grounds of Hampton Court Palace, we were transported back in time immediately and the mere mention of names such as Henry VIII, Anne Boleyn, Thomas Wolsey, Christopher Wren was enough to bring out the knowledge-seeking kids in all of us. Hampton Court Palace is one of the most significant Palaces in England’s history. It is most certainly the greatest palace during the Age of the Tudors. 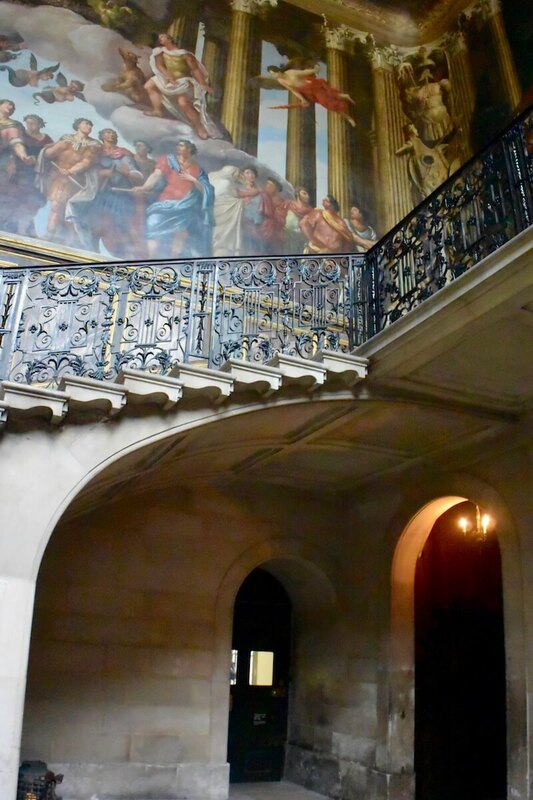 Walking through the front chambers of what is better known as the original part of the palace, it was easy to imagine a young, handsome, and level-minded Henry ruling over England. 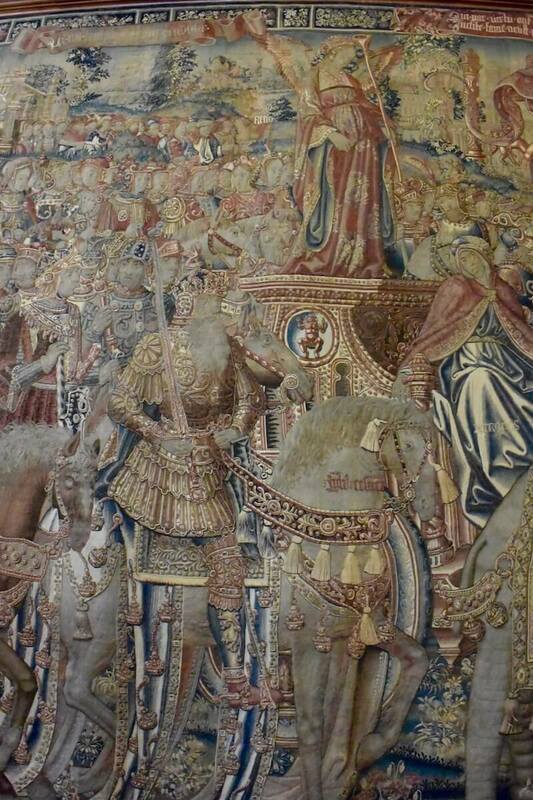 As we proceeded, it became more opulent and served as an allegory of the Henry that became larger than life and became one of the strongest figures in the Western World. There were lots to see, but one of our favorite sites, being lovers of food, were the large kitchens and the banquet halls which they served. With intricate tapestries hanging from the rafters, large fireplaces, and large tables lining the room, it was easy to imagine the embarrassment of riches that was enjoyed by the Royal Parties in those days. I’ve viewed paintings and movies inspired by such rooms and being in one, live, gave me a true sense of how it truly was. Cardinal Wolsey, before Henry decided to take it over, was the master of the Palace. He is best known to have been Henry’s advisor and inside man within the Roman Catholic Church. In short, he was a man that wore sacredness and corruption on his sleeve with equal facility. 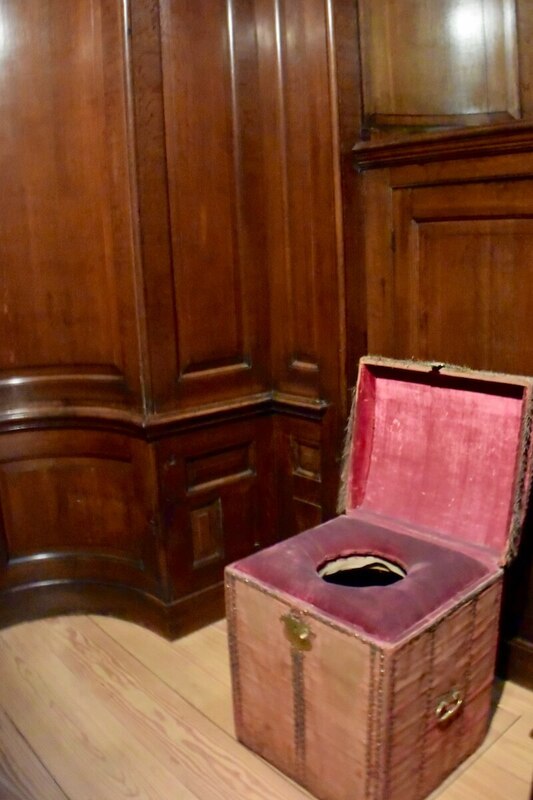 In time, like most, he fell out of the King’s favor, but he, only second to Henry VIII himself, may have left the most indelible mark on Hampton Court Palace. One of his contributions is the Royal Chapel. Though the man was reproachable, the Chapel and what it stands for today is not. During our visit, which was just days before Christmas, it was nothing short of holy. We were not allowed to take photos in the chapel so you’ll have to see it for yourself. Aesthetically the chapel is very regal and one of the more important Anglican Churches in England. During the viewing of it, Henry’s break from the Catholic Church and the Pope was mentioned often. Which somewhat, quite humorously, cleared up for Bailey, as to why her Episcopalian mother and Catholic father are sometimes at odds. We all spent a little extra time inside, as there were few sites more visually spectacular. A large subset to the story of breaking away from the Roman Catholic Church was, of course, the issue of divorce and the number of Henry’s wives. Stories of the beheadings intrigued Bailey and provided the rest of us, some of the best stories throughout the tour. 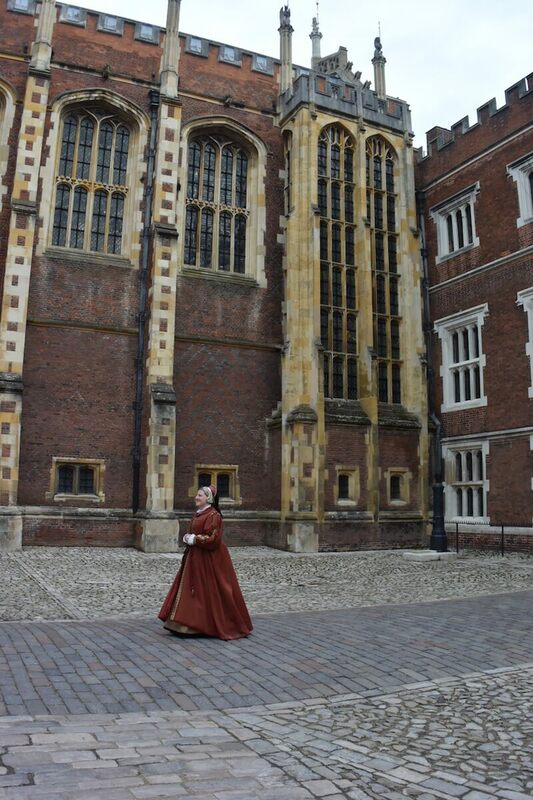 It was a wonderful eerie feeling walking in the same corridors and viewing the same rooms that Henry VIII, his advisors, his wives, and other royalty and dignitaries of the time, walked and lived in. Vivienne’s play by play and her lovely command of the language and knowledge of history kept us all captivated. It felt like reading a book you didn’t want to put down. The visit wasn’t just about Henry VIII, there were others, most notably King William III and Queen Mary II, who commissioned the most prolific architect of the time, Christopher Wren. He was given the task to tear down and rebuild Hampton Court Palace to the Baroque King’s liking. This is yet another reason why Hampton court is worth visiting. With Wren’s architecture and the taste level that William and Mary brought to the Palace, the grandeur is only equaled by the likes of Versailles. It is, however, the preservation of the Tudor area, that was never addressed by Wren, that makes the Palace unique. The differences in style and architecture throughout the changing of the crown served as a vehicle in providing us a visual timeline of when one reign ended and another began. Vivienne was always quick to point out the progression of the toilets, which always brought laughter. We had seen and learned so much, but we weren’t done yet. So, after bidding our crew goodbye, we decided to end our day as a family by walking the grounds of the Palace, which was equally as impressive as it was inside. There was a famous topiary maze that Bailey insisted we try. Brenda and I not confident that we would find our way out in time to catch the next train did not approve her request at first but ended up acquiescing as we had seen these in movies, but have never tried one before. “Why not?”, we figured. There was always another train. We started hesitantly, but did not look back, and kept going. I noticed Bailey following the skies and keeping sight of markers. A couple that we ran into halfway through decided to follow us. Just as it seemed as if we were getting deeper into the maze, we were out. There was a sigh of relief from the couple, who must have been in there for quite some time. I guess they needed a kid to show them the way out. I’m sure if it weren’t for Bailey, Brenda and I would still be in there. With 200 years of history under our belt and our brains exhausted from all the information we took in, I took my seat on the train, closed my eyes and continued to dream about days of Royal yore. When I awoke from my nap, the train was pulling up into Waterloo Station. A little hazy, I had to look up at the big clock in the station to make sure we were back in present time. The slender older gentleman that provided me our ticket was still behind the window which assured me that I was. Thank you, Context Tours for turning the clock back and bringing us through some of the most important moments in history. It was the best tour of Hampstead Court Palace for sure. English history has always been amazing to me. Knights, Kings and Castles. It’s incredible! Truly incredible. So happy I decided to listen in class. My marketing consulting and product development Company reviews many toy and game products every year. BRIO has additionally accumulated extensive expertise on what toys stimulate a child’s development. you can also cheack the Longshot Nerf. This place looks really interesting. There is a lot to learn there. I love the maze garden. Lots to learn for sure, Laura. The place on its own is just stunning. Glad we made it out of the maze. great article great read I love all things English history. Hampton court is amazing I really enjoyed your photo’s. I am disappointed when did not get to go to Hampton court last year when in England. You should, you won’t regret it. Fantastic! This sounds like such a great tour. 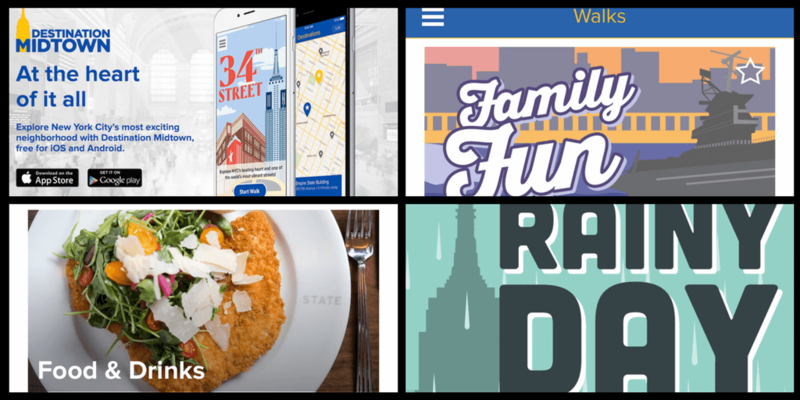 I love guided tours because you learn so much more about the place you’re visiting. I especially like that they stick to small groups; it’s much more personal that way. I love when tour guides include children and work at making them feel like a contributing part of the group. This sounds like a lot of fun. This looks like so much fun. I wish I’d known about it when we were in London last year. What a wonderful opportunity for Bailey! 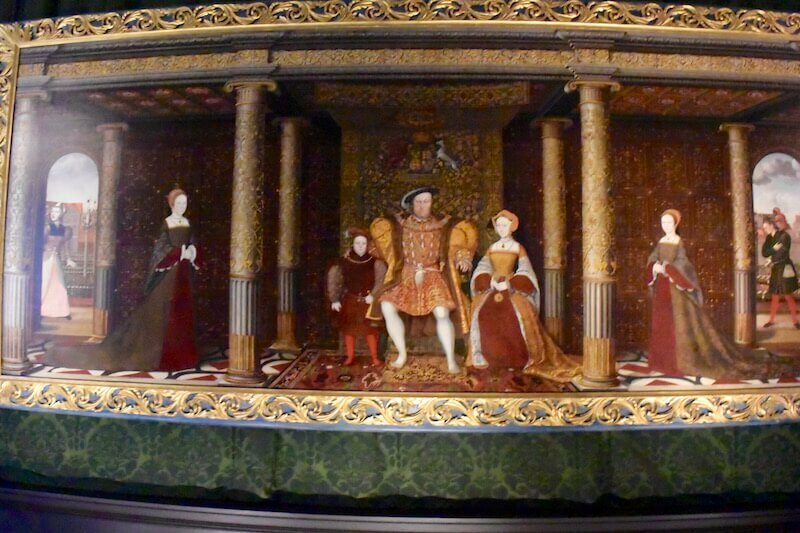 Obsessed as I am with all things Tudor, I never get tired of reading about Hampton Court … or visiting. I’d love to go with a tour as I’ve always gone on my own. What a fun tour, I wanted to visit the place but ran out of time. This is definitely a must do when I’m back in the area again. Super interesting tour and blog post — I love history, and I love old buildings. I would love to take this tour, but really appreciate the details you added to your post. I was completely sold until I saw the price for a tour — wow! that is expensive! 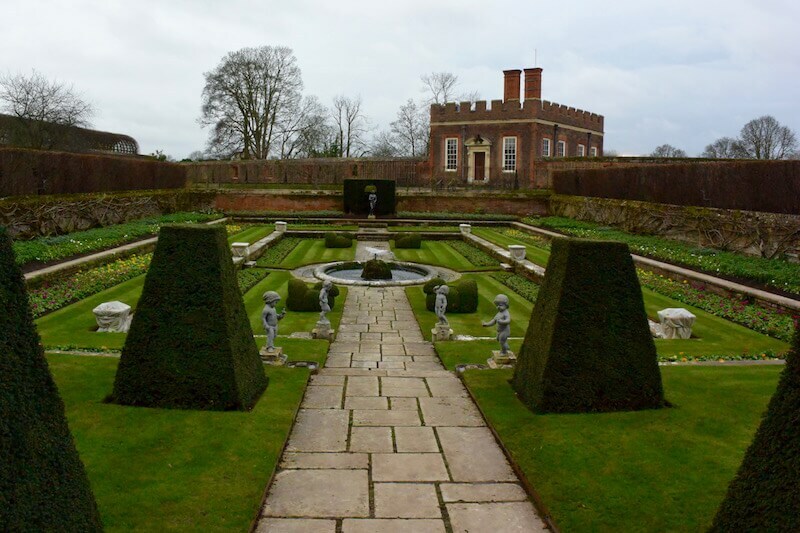 Hampton Court has long been on my must-see list for London and the UK in general. I’m so glad to hear that it won’t disappoint. Rob: It did not disappoint for sure. Do look into this tour if you do go one day. I promise, it is the best tour you will ever experience.